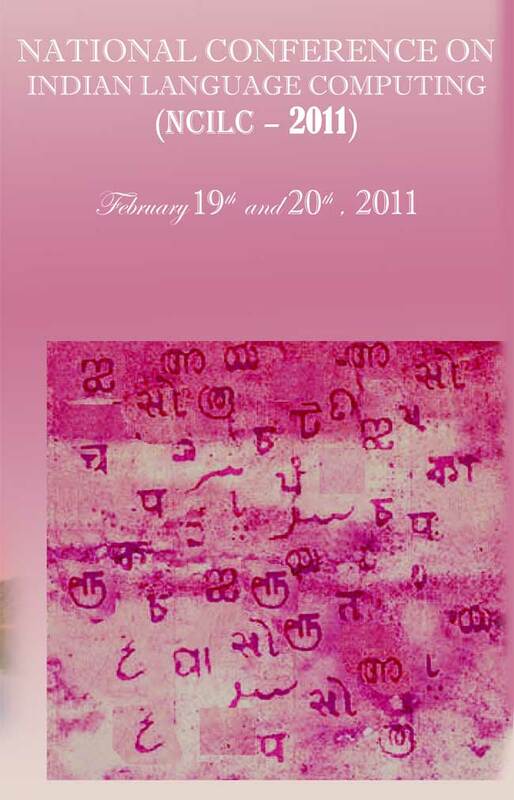 Department of computer applications , Cochin university and technology is organizing a national conference on Indian language computing on february 19 and 20th , 2011. The conference is aiming to bring together various people working in the area of Indian language computing, like Machine Translation,Transliteration, Indian Language Understanding, Character Recognition, Speech Recognition and similar areas. This Conference intends to create awareness among people about the need and relevance of computing in our own language and will serve as a platform for interaction and communications among experts in this area and activists all over India.